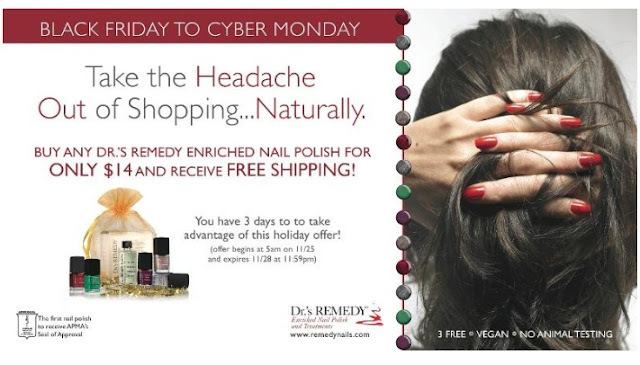 Fashion Polish: Black Friday Sales! This year's new Black Friday sales are just in a few days. I've decided to post them all here and update this post on a countinuous flow basis. You're welcome to let me know in the comments the sales you are aware of so that we can all share them. 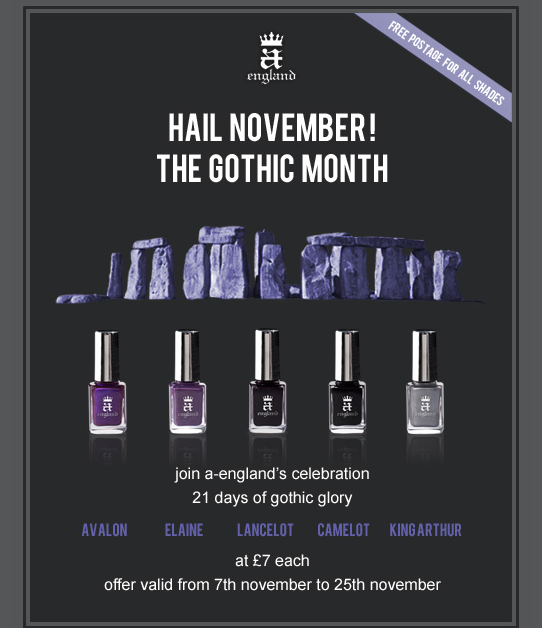 A England polish is a 3 free, animal friendly and is available on a-england.co.uk with free shipping worldwide. And you can follow the lovely Adina on both Facebook or Twitter. Join INGLOT for a Black Friday Sale like no other! Stop in for your chance to receive a free makeover, lash application, or up to 30% off your ENTIRE purchase. 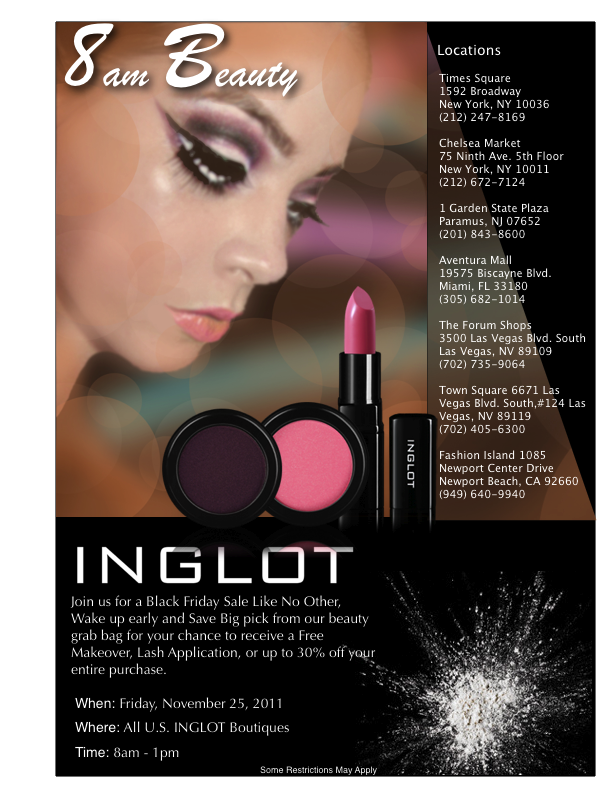 Offer valid at all U.S. INGLOT Boutiques on Friday, November 25th from 8am -1pm (see attached flyer for boutique locations).